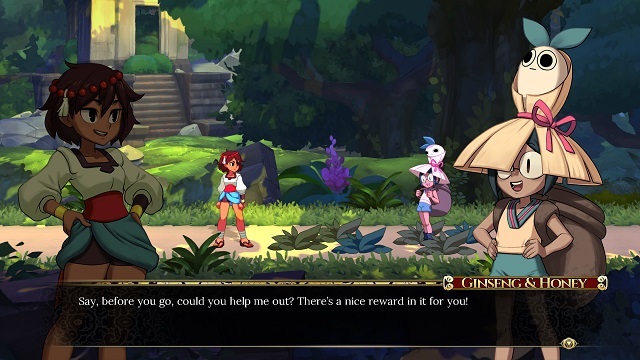 Indivisible is a title that has caught many people’s eyes since it was first unveiled and for good reason. It features some beautiful hand-drawn and highly expressive characters, has a nice blend of 2D platforming and a rather interesting battle system with an emphasis on timing and chaining attacks. The demo we got to play at PAX East this year only served to further capture our interest. 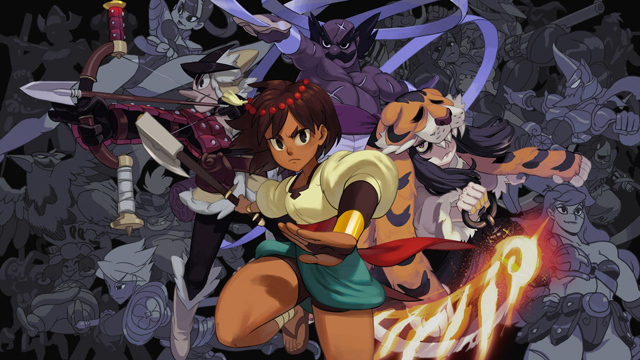 Indivisible‘s story revolves around a young girl named Ajna who was raised by her father on the outskirts of a rural town until one day, that town was attacked by the cruel warlord Ravannavar. Soon afterwards, she awakens to a mysterious power: the ability to absorb “incarnations” or special individuals with whom she can absorb into herself and manifest to fight alongside her. Ajna sets out on a quest to explore her world to find Ravannavar and also discover the real reason and source behind her powers. 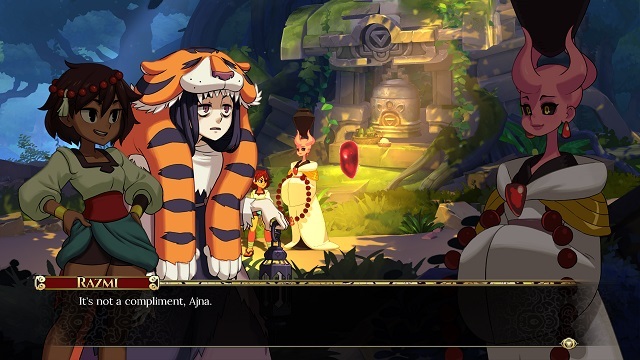 The demo had us playing as Ajna and gave us a taste of the exploration and battle system. 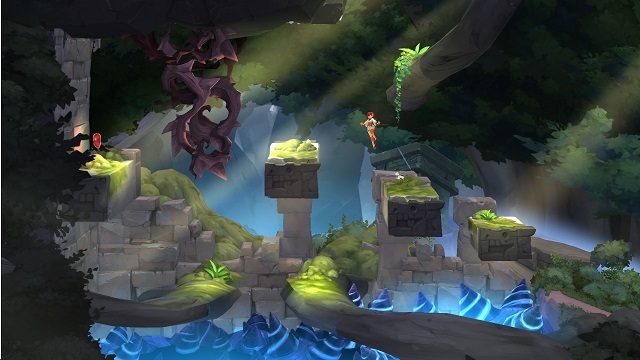 Indivisible plays like a 2D platformer in that Ajna can run and jump all over the map and use her axe to solve puzzles, scale walls, or attack enemies. Attacking an enemy or bumping into them will trigger a battle in which the game becomes closer to a turn-based RPG. Everything moves in real time, and each of your characters can attack twice before having to wait for their attack meter to fill again. Each character’s actions are assigned to a button, and you can chain attacks and create combos based on your timing. If an enemy is coming to attack you, you can also press one of these buttons to guard their attacks based on who is being targeted. Time it just right to reduce the amount of damage the targeted character will receive. Your characters also have a move-set of sorts in that different moves can be performed if you press their attack button in conjunction with a direction on your controller. There are also special moves they can perform for extra damage and guard breaks for the enemies that are blocking most of your attacks. It’s a simple system, but one that in practice, works very well and is very fast paced. I had a lot of fun experimenting with the different moves to see how they chain and trying to see how long of a combo I can pull off. Perhaps the most impressive aspect of the battle system is how seamless the transition between battles and exploration was. It all happens so smoothly that it barely interrupts the flow of the dungeon crawling. Exploring the world was a real treat. Ajna moves at a nice pace and it just looks great in motion. There was some brief puzzle solving to be found such as looking for alternate paths throughout the dungeon to avoid certain hazards, or finding secret passages to discover items or even new party members. I really look forward to seeing what kind of level design will be in store in the final version of the game. What we got to see in Indivisible showed a lot of promise and it’s shaping up to be quite the gem when it releases later this year. 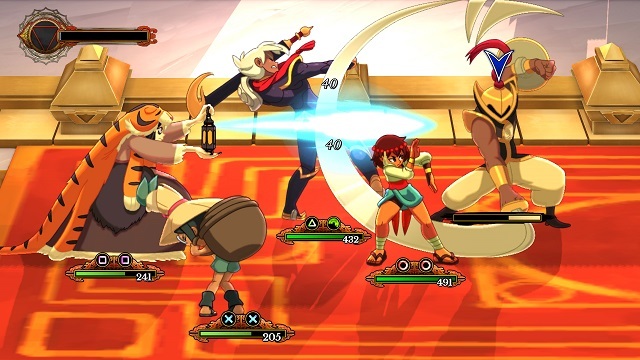 Are you looking forward to trying out Indivisible this year?